Choosing a product that will work to achieve both the look you would want out of a renovation as well as something that will perform under extreme conditions is challenging. 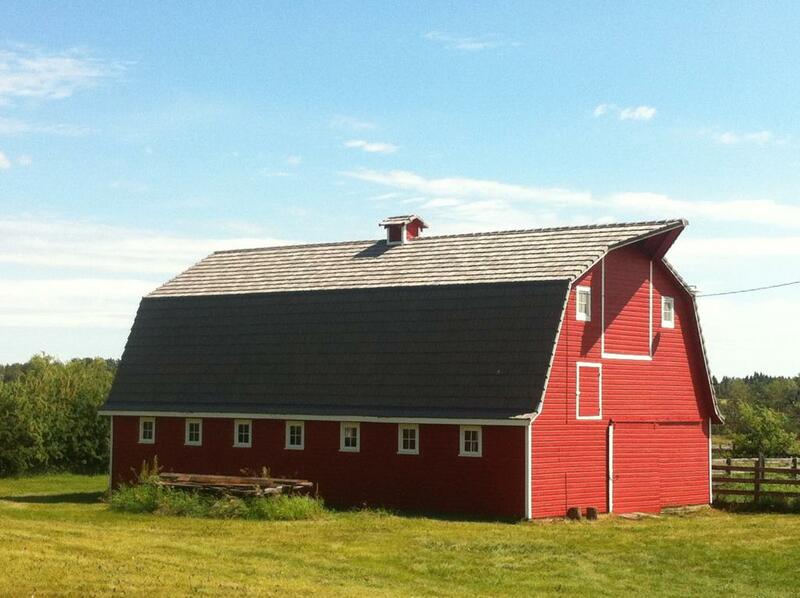 Woodchuck Roofing out of Sylvan Lake, AB has nothing but nice things to say about working with our synthetic shake shingles on a recent barn renovation. Our polymer cedar shakes are Class A Fire Rated, Class 4 Impact Rated, Wind Certified to 110 mph and come with a Lifetime Limited Warranty. When you compare the lifetime cost of a Bellaforté Shake Roof (featured here) to natural cedar shakes, Bellaforté Shake comes in much lower as it is longer lasting, requires no maintenance, and can stand up to some pretty heavy duty weather events.